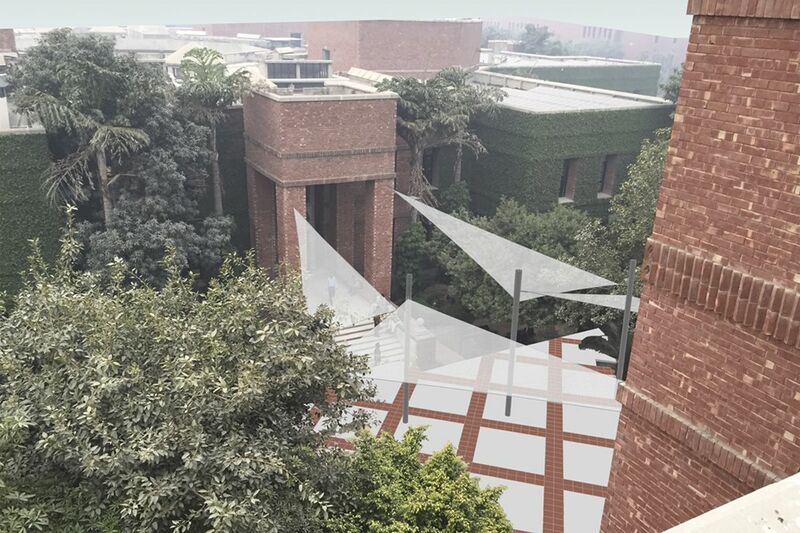 Students meeting plaza, Lahore, PK | Prof. Dr. S.N. 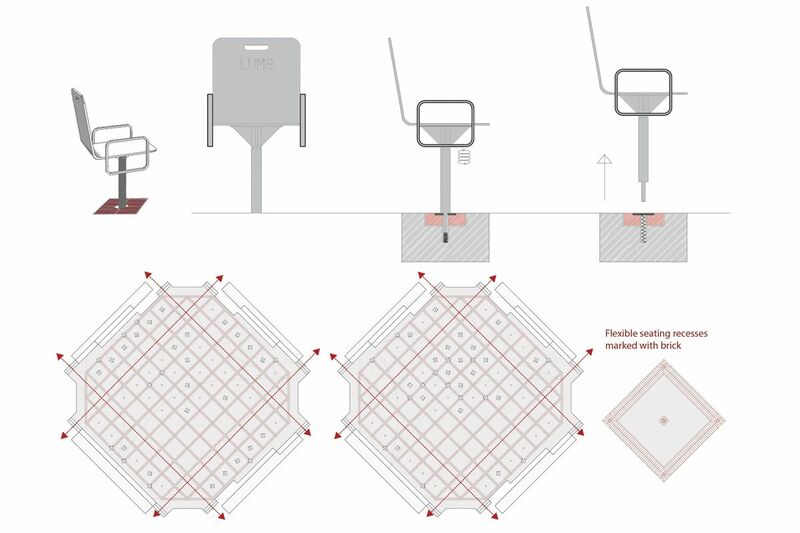 Pollalis Inc. 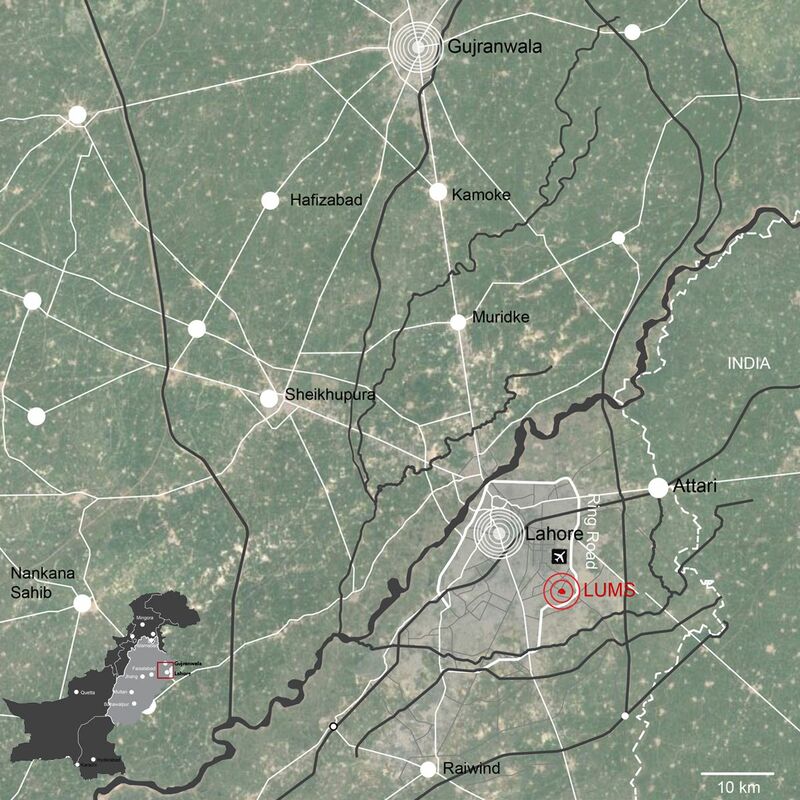 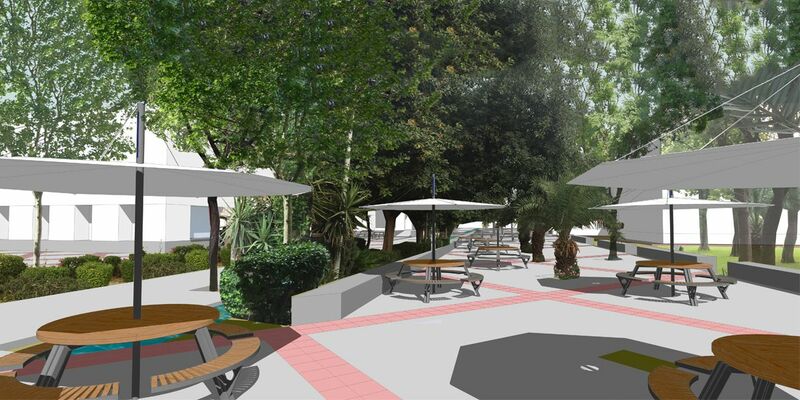 In July 2016 Prof. Pollalis was requested by the Board of LUMS University in Lahore, Pakistan to present a proposal for the enhancement of the campus public space. 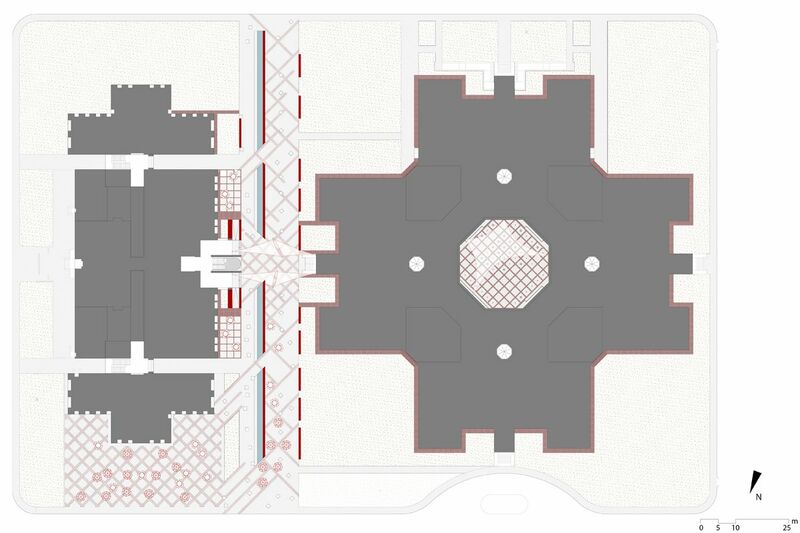 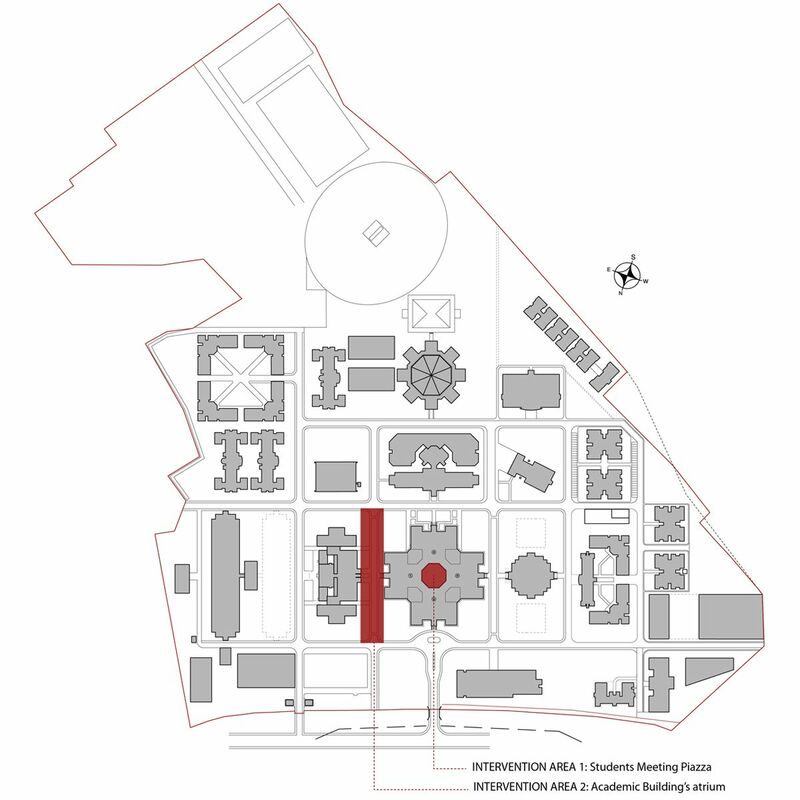 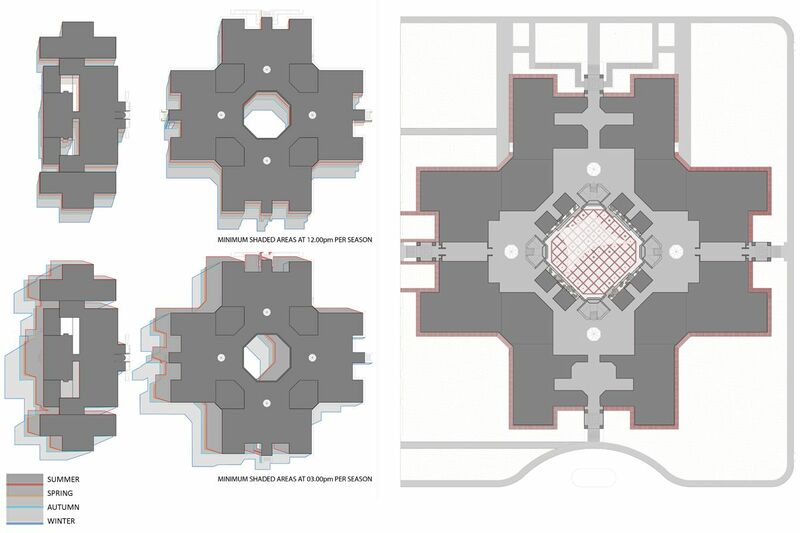 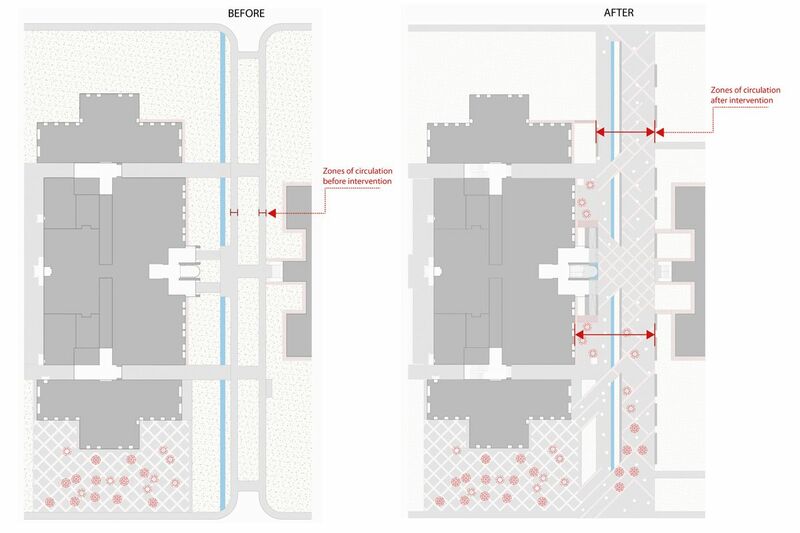 The intervention included the creation of a new students’ meeting piazza as an extension of the Dining building’s exterior space and the design of the University Central administration building’s atrium. 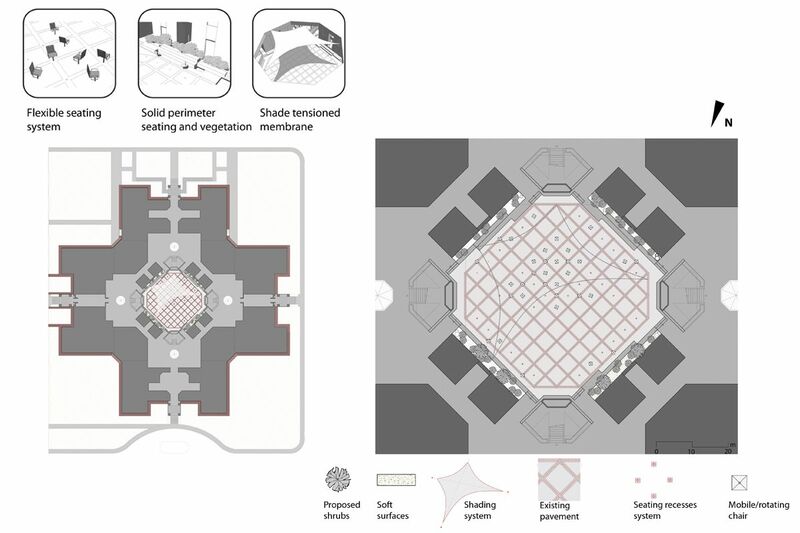 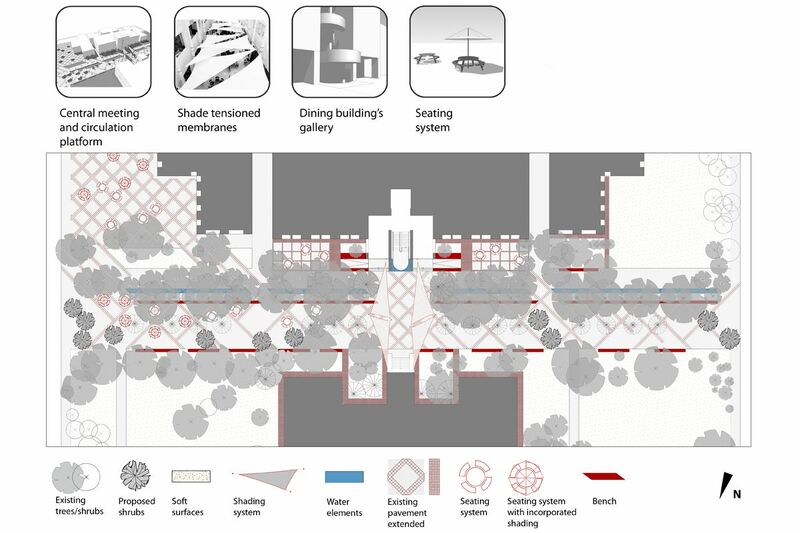 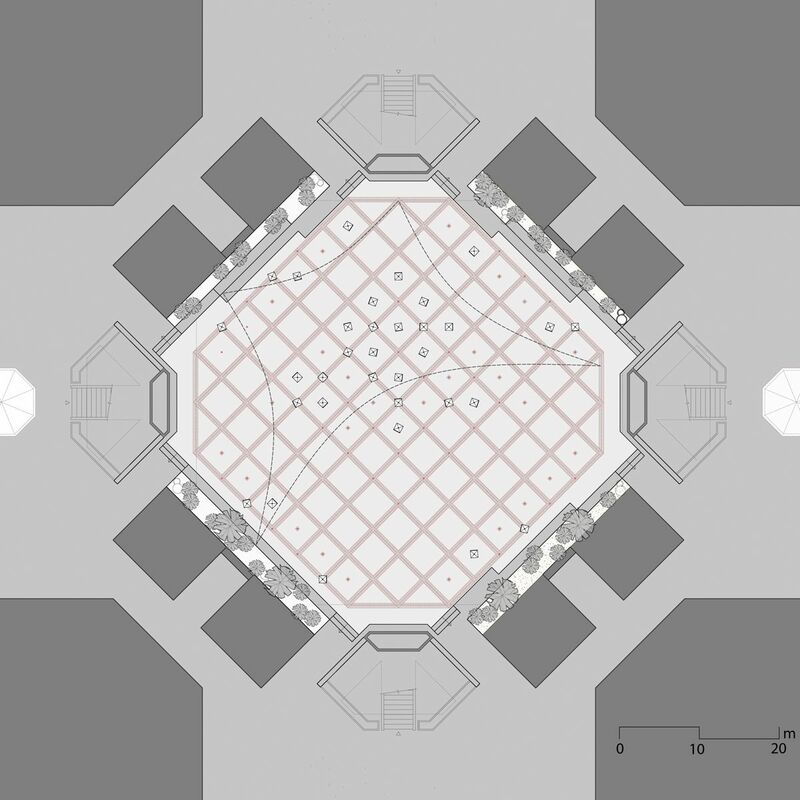 The proposal was based on the analysis of the existing conditions (current use of space, circulations, materials, building typologies, vegetation, water elements) that define the identity of space, as well as a shading analysis to understand daily and seasonal patterns of space use. 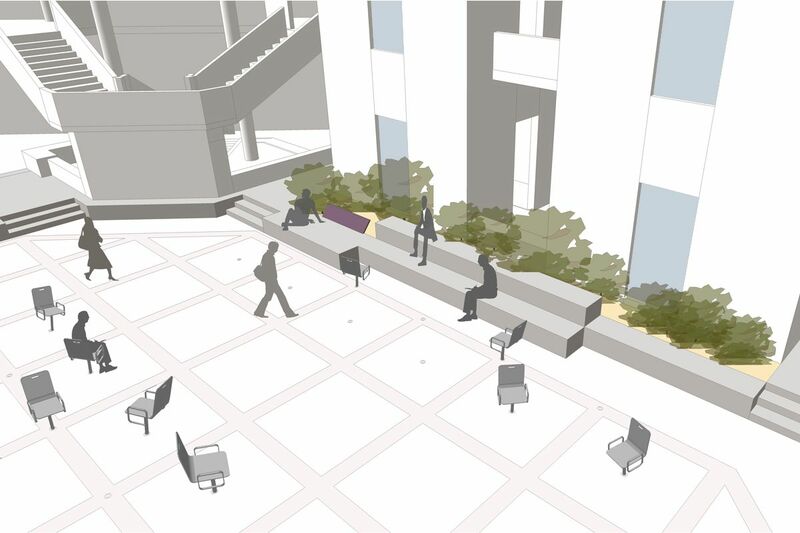 A flexible circulation, seating and shading system was designed to adjust to variable space usage by a varied number of students during the day. 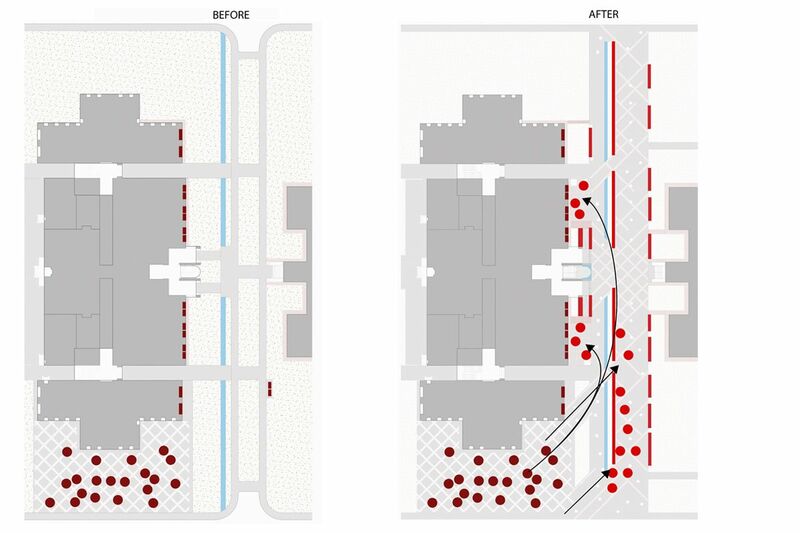 The design of the pavement of the meeting piazza used existing pavement patterns to organize new elements and punctual interventions into a new whole.